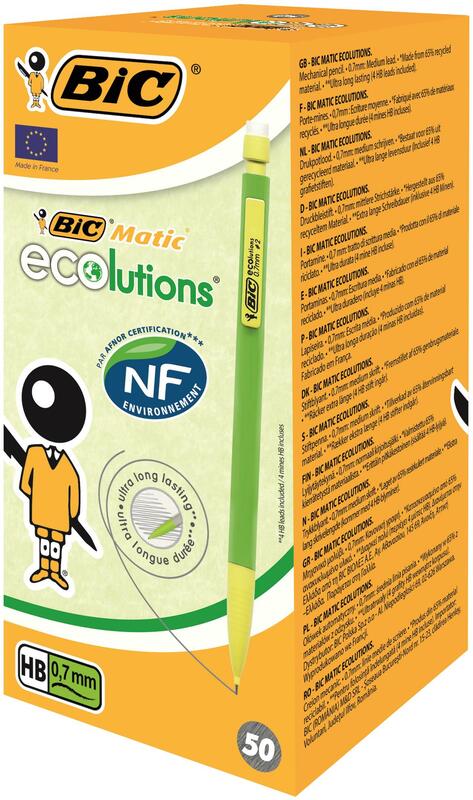 BICMatic Ecolutions is an environmentally friendly mechanical pencil, that has been made with 65% recycled content. 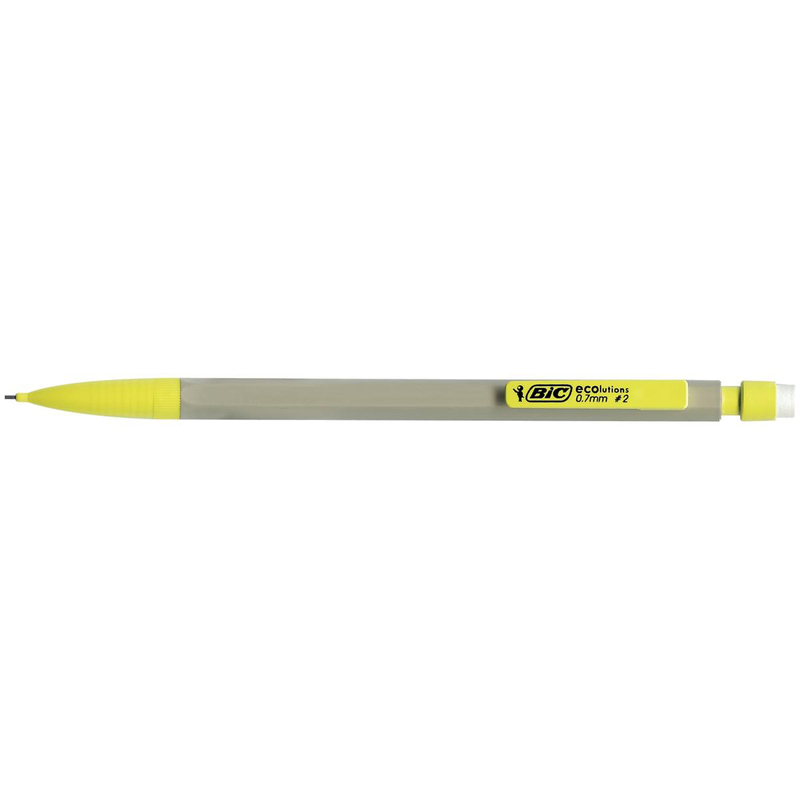 It contains 4 HB leads of 90mm, allowing a good product life. 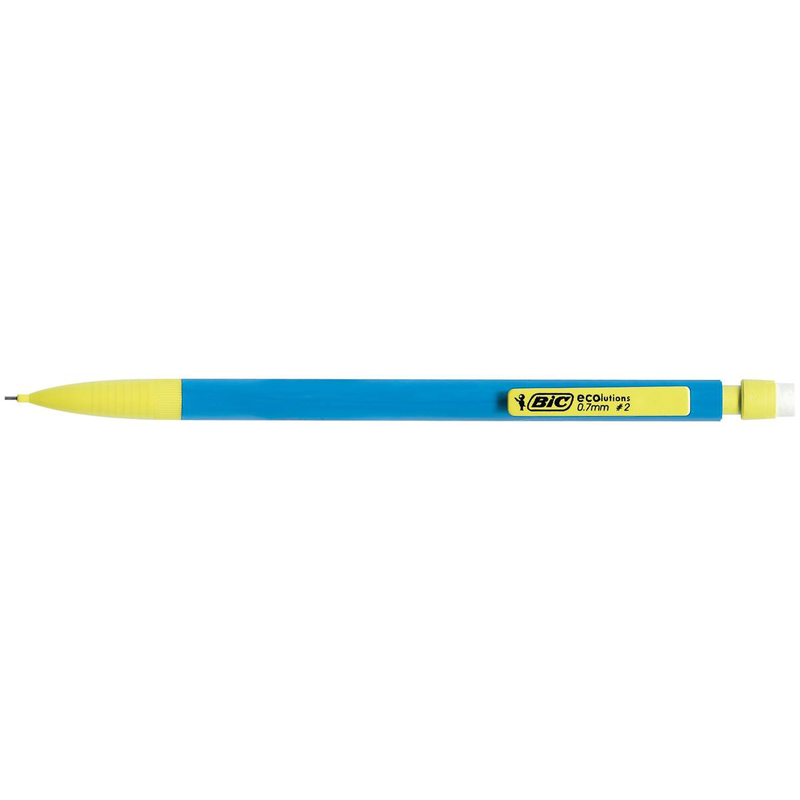 The mechanical pencil has 0.7mm HB lead to allow for precise and smooth writing. 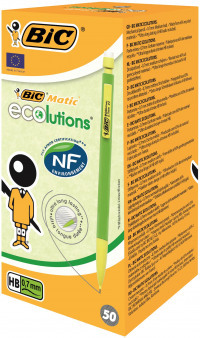 With an eraser push end, the BICMatic Ecolutions makes it easy to change your mistakes and carry on with your work.